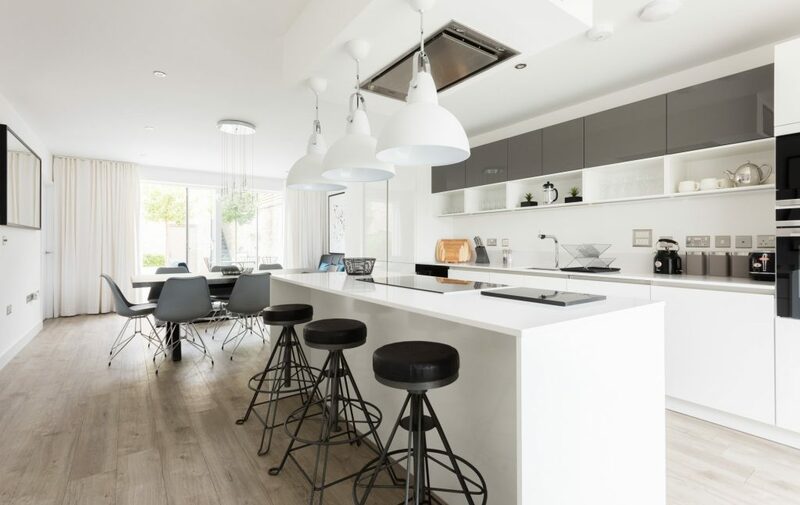 This magnificent contemporary family home offers stunning rooms throughout in Cambridge’s new well thought-after neighbourhood of Ninewells in the south of town. 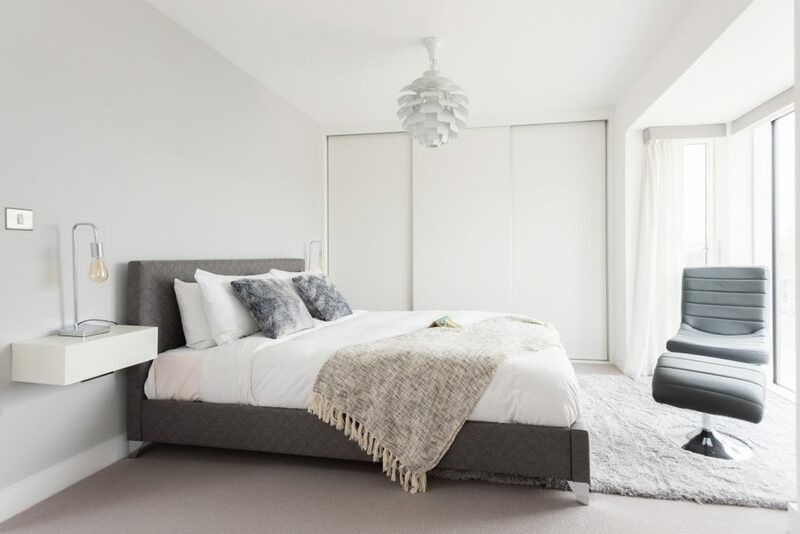 Its bedrooms and living space is designed for modern lifestyle living and well-being. 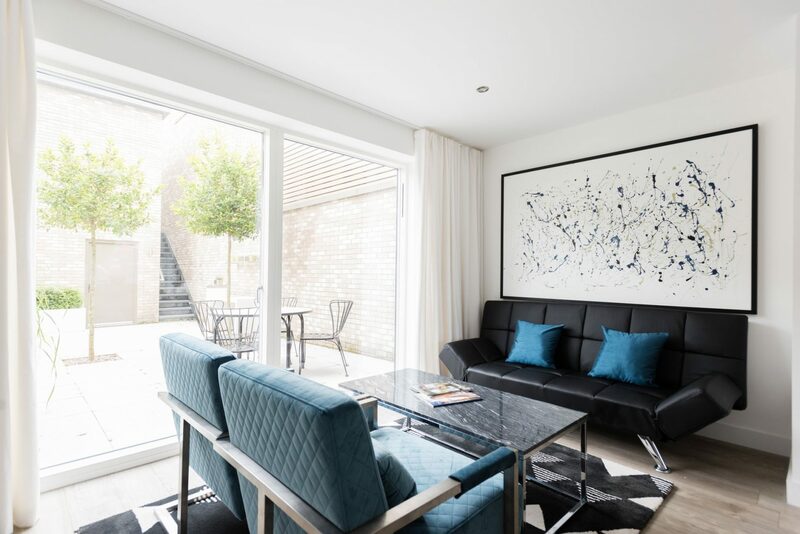 This modern and comfortable family home in the south of Cambridge lies ideally between the countryside and the town, close to the University of Cambridge Botanic Garden. 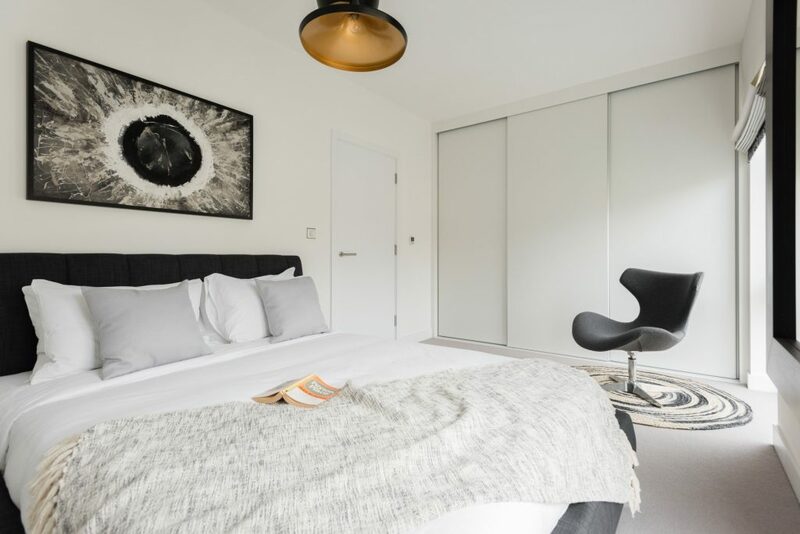 It’s furnished to the highest calibre and outfitted with modern appliances and comforts, benefits from cool new furniture and offers a great place from which to explore beautiful Cambridge and the surrounding area. 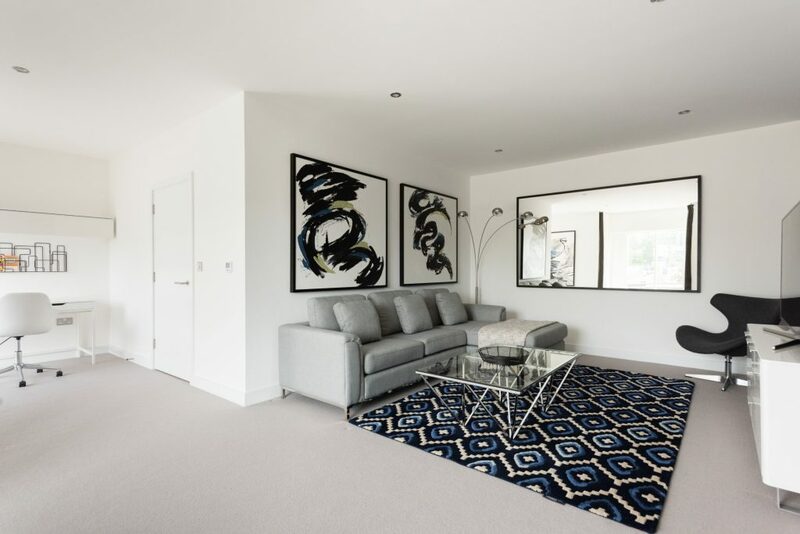 The new home has recently been redecorated and features a sleek and modern styling with plenty of incredible art. 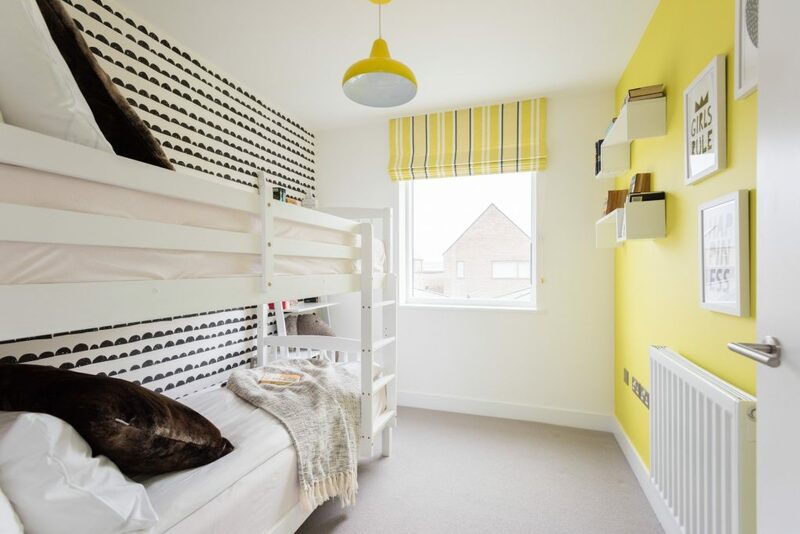 All 4 bedrooms have comfortable mattresses and there are 4 bathrooms to match, with 2 en suite for guests added convenience. 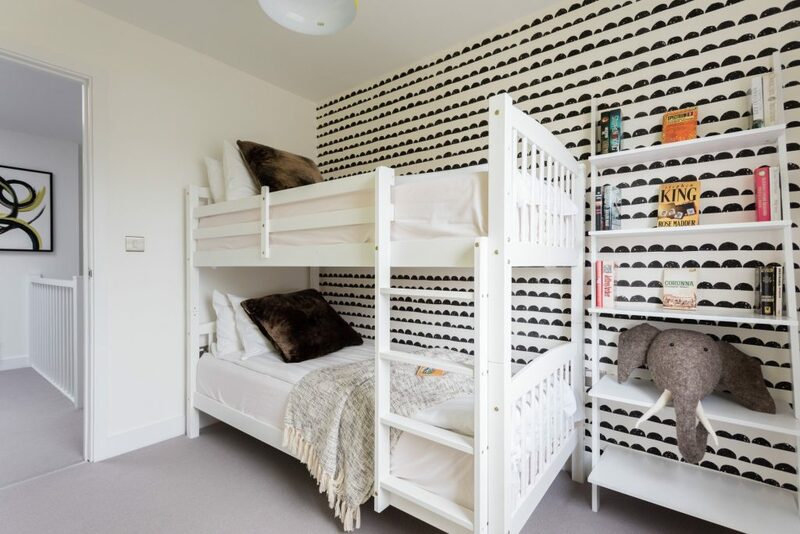 3 Bedrooms have large double beds and one bedroom offers a fun bunk bed. The home has a lot of natural light through the big windows and offers views of the surrounding neighbourhood and the home’s own outside space. You’ll find modern and comfortable furniture in the whole home and clean bathrooms with plenty of light. The kitchen is modern in both style and appliances and ready for you to use. It also comes with its own breakfast bar. Making it the ideal place to gather, cook and laugh together. 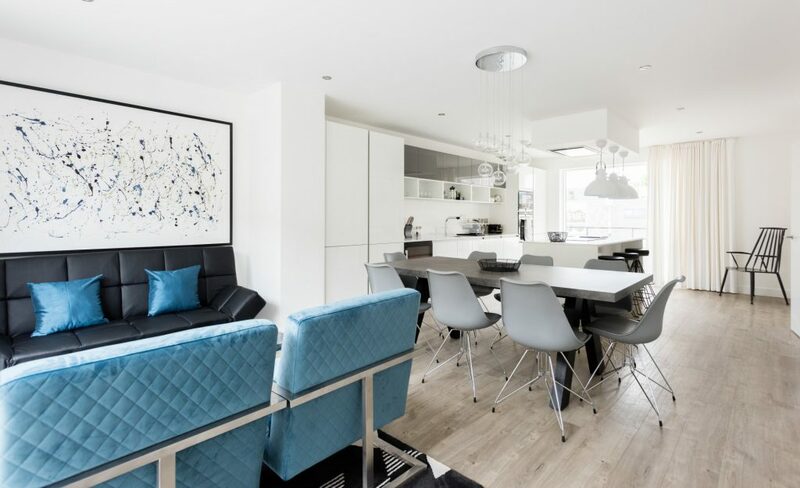 It connects to the homes large dining room which in turn is connected to the living room, giving you ample modern living space. 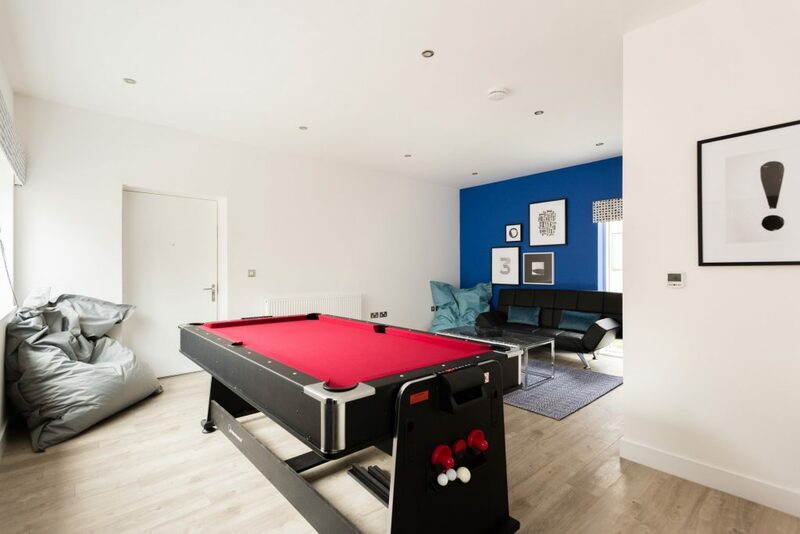 The living room is equipped with two large and relaxing armchairs and a sofa and a big mounted TV, perfect for an evening with friends or family after a long day of exploring Cambridge. Watching movies, reading books or playing games, you’ll be spoilt for choice. As part of this special family home you’ll also have access to the garden, to relax or simply to eat and drink outside in good weather. The home is also provided with high-speed WiFi and offers lots of space should you want to get some work done. 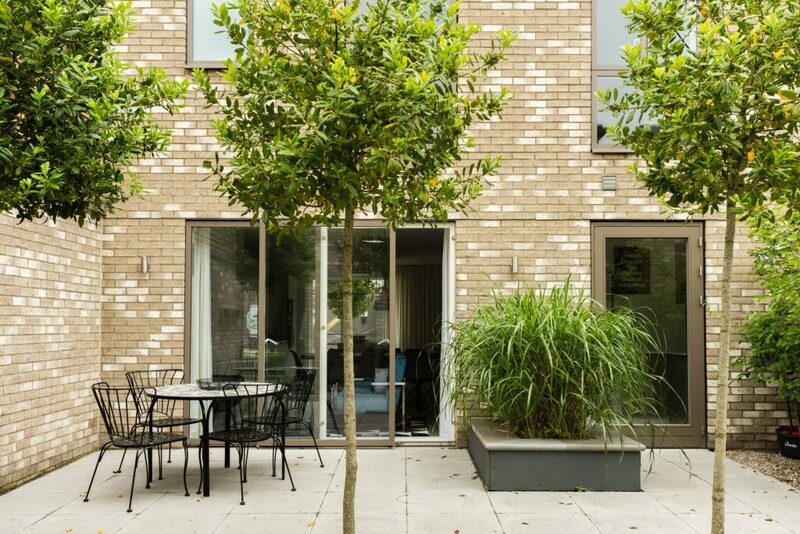 The home is located in the lovely new and sought-after neighbourhood of Ninewells in Cambridge, close to many picture-perfect Cambridge University Colleges and the University’s Botanic Garden. 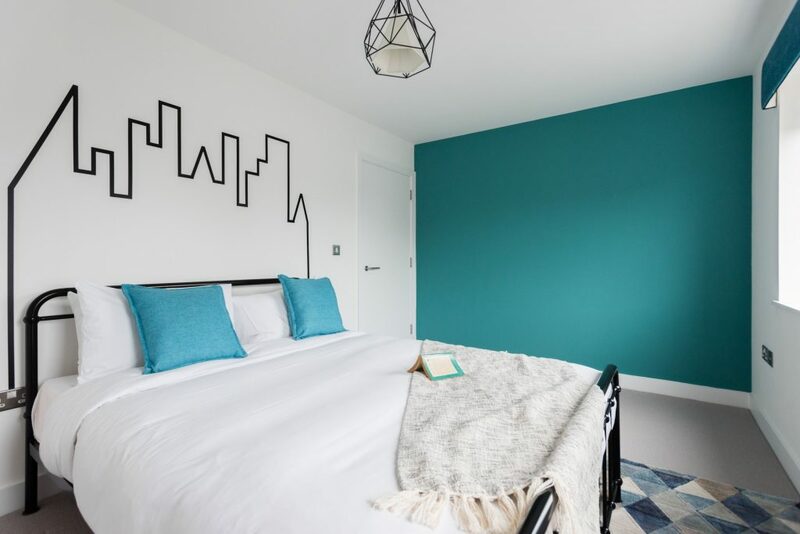 It’s also a short distance from many of the town’s attractions such as the Bridge of Sighs, Kings College Chapel, the Fitzwilliam Museum and countless other attractions, restaurants, bars, shops, pubs and coffee shops.